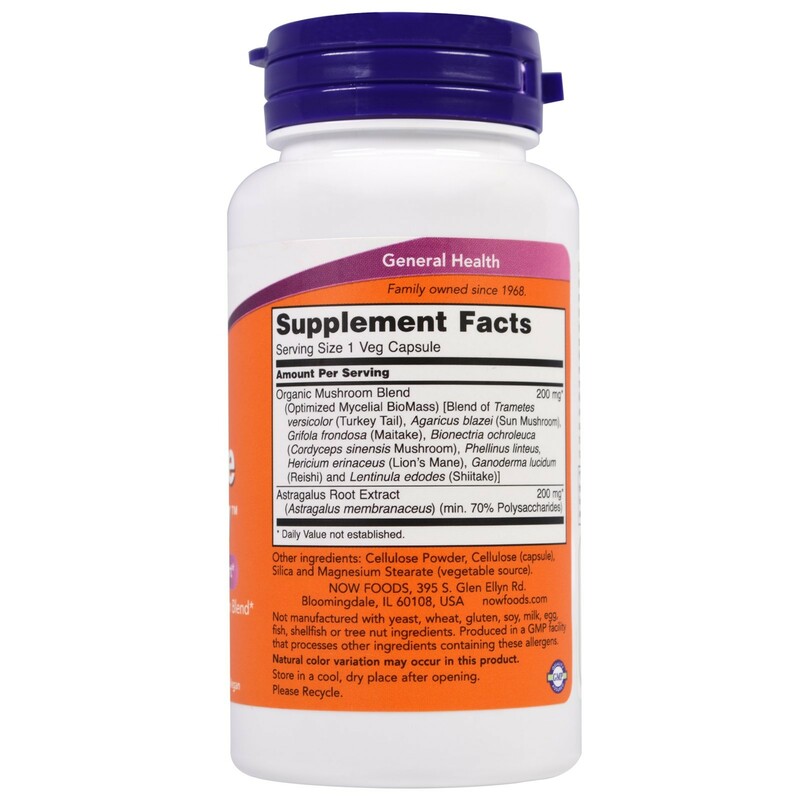 NOW Immune Renew is a potent formulation containing Standardized Astragalus Extract and a High Beta-Glucan Proprietary Mushroom Blend. Cellulose, cellulose (capsule), silica and magnesium stearate (vegetable source). † The Organic Mushroom Blend used in this capsule makes up 38% of the total capsule weight. 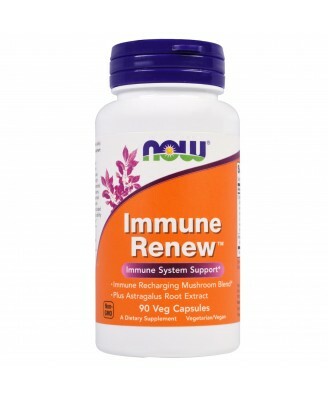 NOW Immune Renew delivers the natural nutrient profile found in Genuine Whole Foods. 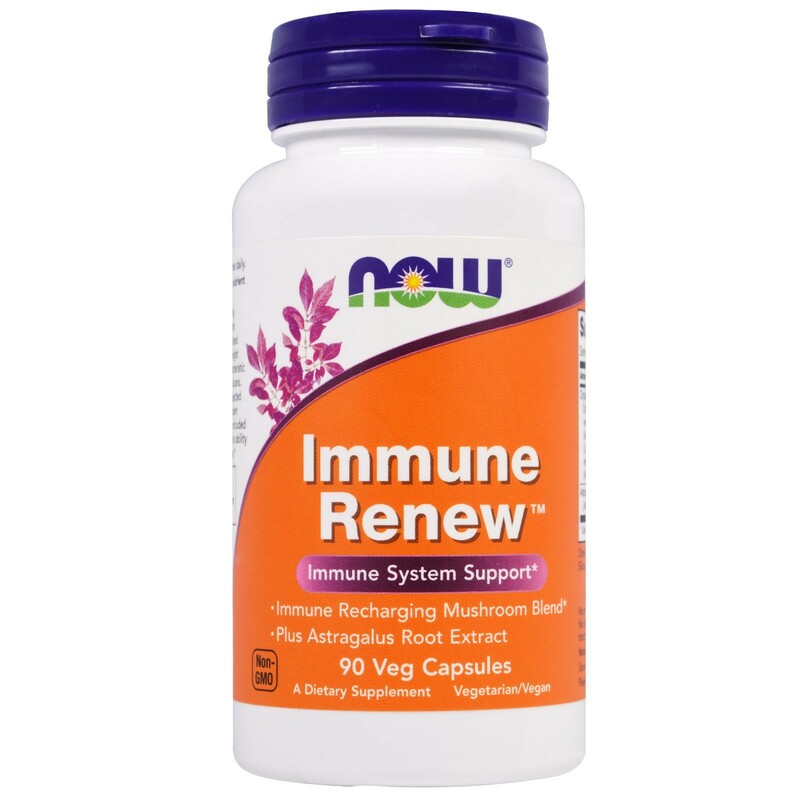 NOW Immune Renew is a potent formulation containing Standardized Astragalus Extract and a High Beta-Glucan Proprietary Mushroom Blend. NOW's Proprietary Blend of eight organic mushrooms provides additional support due to its high 1,3 Beta Glucan content. As a dietary supplement, take 1 vegetarian capsule 1 to 2 times daily.